ESSO-M is a system of new generation. It conforms to the world trends of railway signalling development. 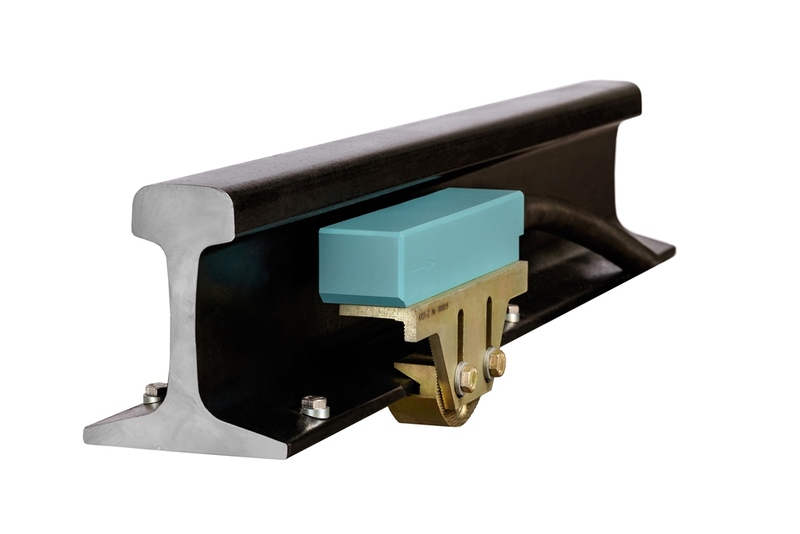 Axle counting system ESSO-M is intended for vacancy/occupancy detection of track sections and is alternative to track circuits. It is used on station sections and railway hauls, as well as in metropolitan and speed tram lines. ESSO-M is integrated into any existing signalling systems both in new construction as well as in the modernization and repair. 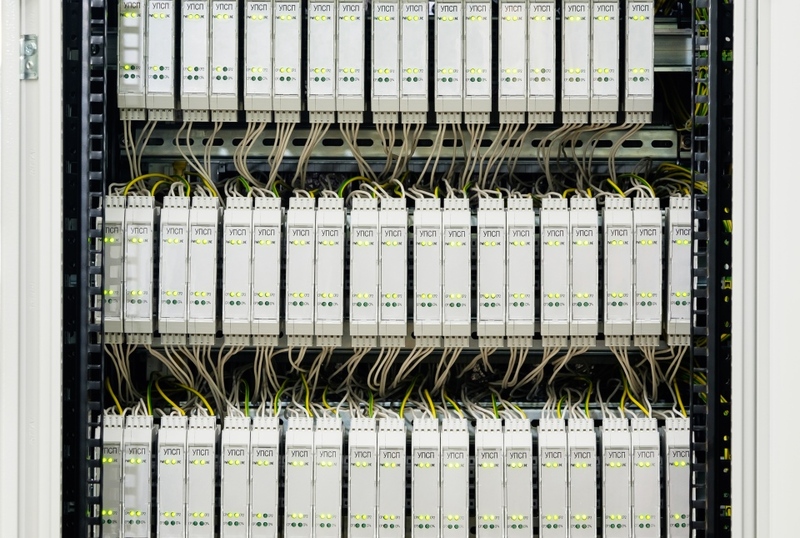 ESSO-M enables control sections of any length and configuration. 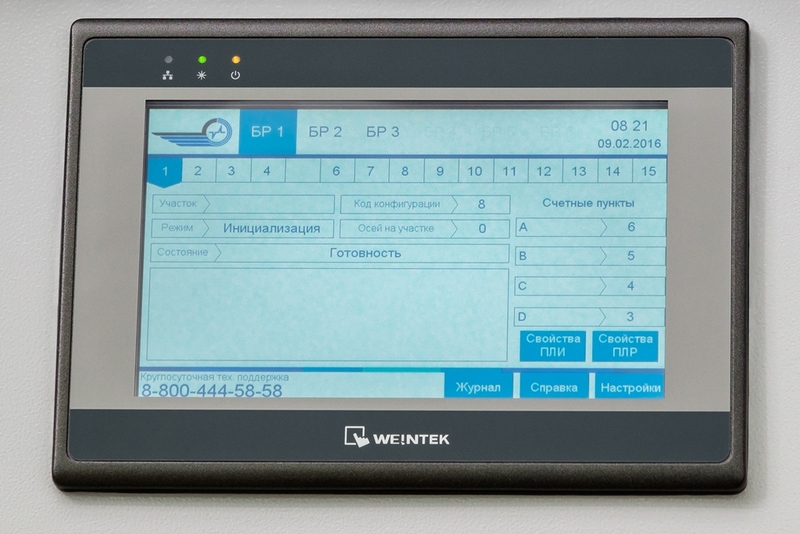 In comparison with ESSO system, it is possible to receive expanded process and diagnostic information, displayed on LCD panel with intuitive interface, such as axles, passed over every counting post with respect to direction, pre-fault state of communication channels with the counting posts. 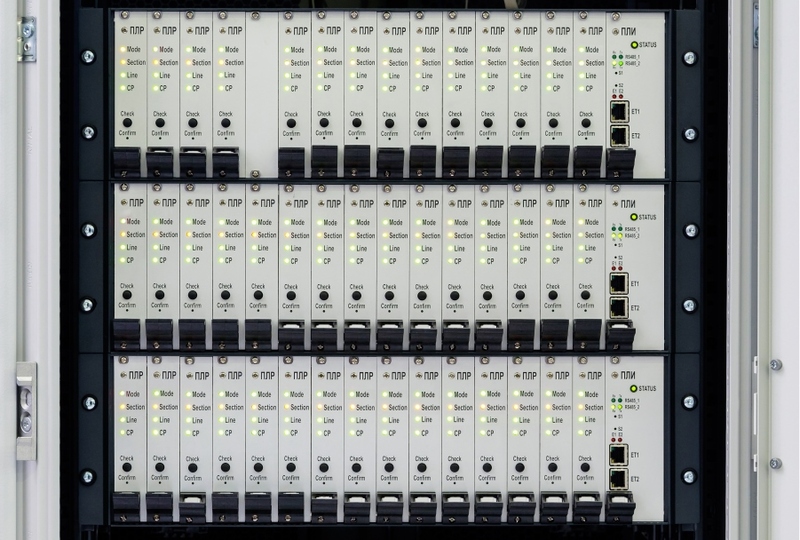 Interfacing with the upper level systems is implemented over digital channels; with microprocessor systems – via digital serial interface, with relay systems – via integrated safe interface type “dry contact”. ESSO-M comprises less equipment in comparison with ESSO – one evaluation block controls 15 sections, wayside equipment is reduced by means of using wheel sensor DKU “Koldun”. 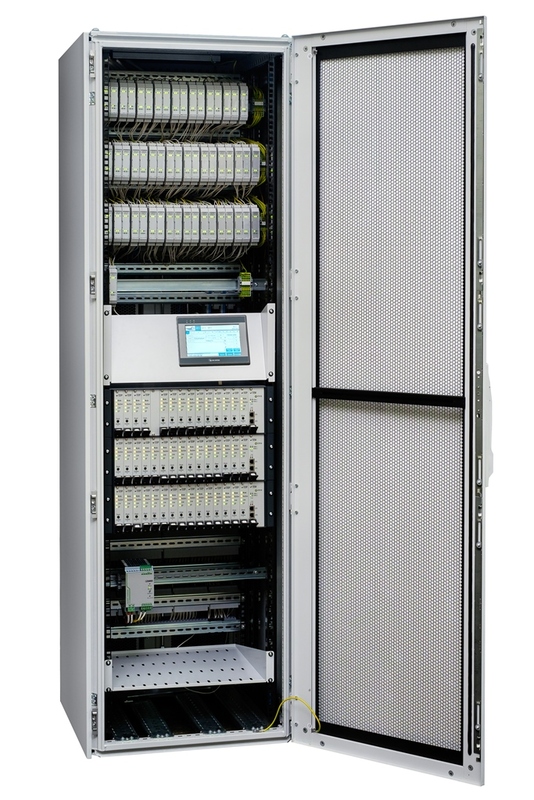 Standard structure enables integration of ESSO-M modules into the standard cabinets of the upper-level system. Specific UPS is not required. Wheel sensor DKU “Koldun” with sensor claws. 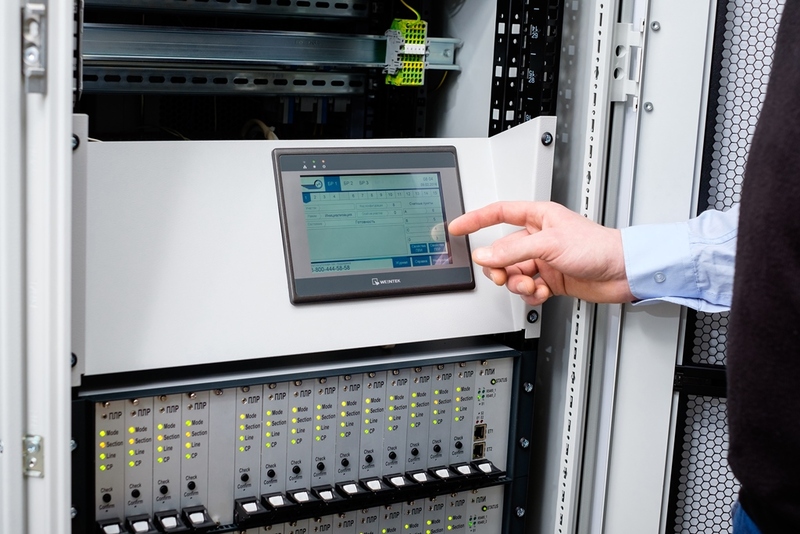 diagnostic interfaces: RS485 (Modbus), Ethernet (SNMP). operational availability increase due to diagnostics of pre-fault states.